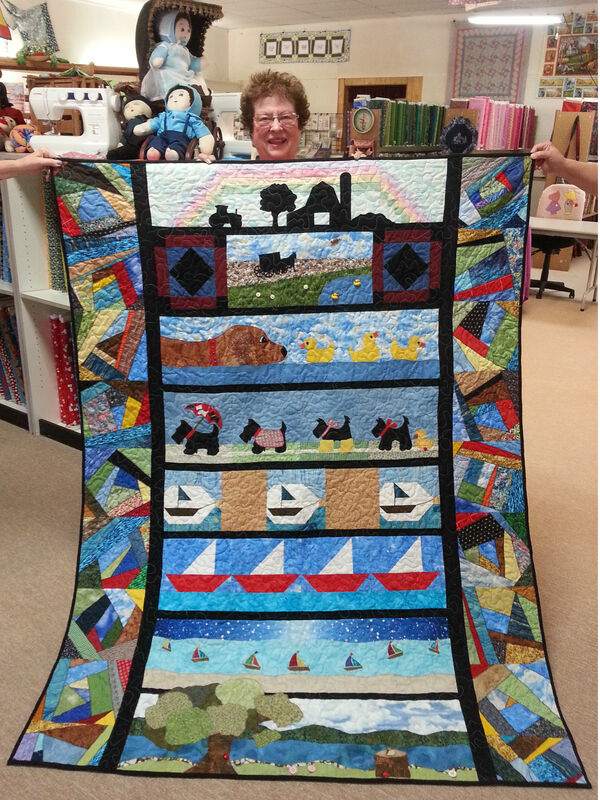 Congratulations to Mary Hamilton of Gilman, IL for being the 1st person to complete a 2015 Row by Row Experience Quilt at Prairieland Quilts. 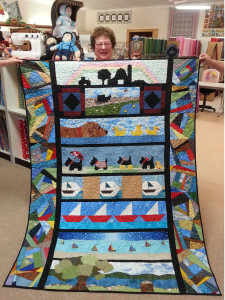 Her quilt features our block on top with 7 other store blocks and a crazy quilt side borders made from the scraps from all the quilt kits. Congratulations to Mary who will receive 25 fat quarters plus an additional prize for using the block from our store. Mary’s quilt is on display at our shop.